Lack of physical activity and getting more than two hours of “screen time” significantly increases the risk of high blood pressure in children, according to the results of a recent study. The claim was published in the February issue of the International Journal of Cardiology and relies on the analysis of data gathered on over 5,000 children from eight European countries, examined by 15 researchers from Spain and Brazil. They found a “worryingly high” incidence of high blood pressure in children – 110 cases per 1,000, or double the expected rate of five percent. Spending more than two hours a day in front of a screen, whether watching television or playing computer games, increased the probability of high blood pressure by 30 percent. The article also noted that anything less than an hour per day of physical activity increased the probability by 50 percent. High blood pressure in childhood can lead to serious cardiovascular problems later in life, including heart attacks and strokes. The researchers examined the data from a comprehensive study of dietary and lifestyle influences on children’s health. The IDEFICS study collected observational data on 16,224 children from Spain, Germany, Hungary, Italy, Cyprus, Estonia, Sweden, and Belgium over the course of two years. According to lead researcher Augusto César Ferreira de Moraes of the University of São Paulo in Brazil, the “screen time” analysis focused on 5,221 children for whom all data was available, aged between two and 10 at the start of the study. Of that number, 5,061 children were re-examined two years later. The UK’s National Health Service noted and endorsed the study’s conclusions, but cautioned that the data was based on parental estimates, and therefore imprecise. 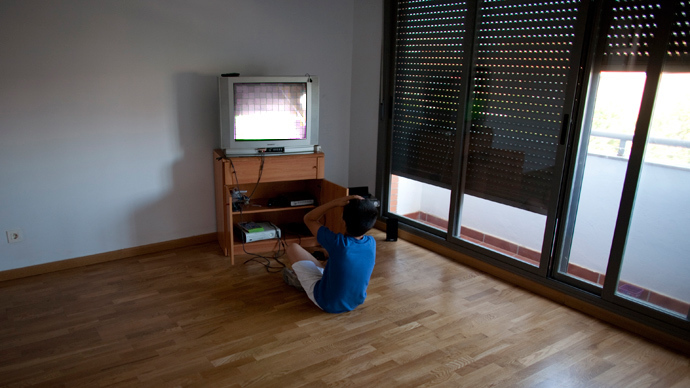 The NHS urged further research into the causal relationship between the sedentary habits of children and cardiovascular conditions.